KAMPALA – The Ministry of Agriculture, Animal Husbandry and Fisheries (MAAIF) has given the company constructing Bukedea cattle market up to 60 days to deliver 50 per cent of the project or else he loses the contract. The monitoring and evaluation team from the ministry, said the contractor, Sarick Construction Company, should speed up the work, which he said is behind schedule. Mr James Kiwolu, the monitoring and evaluation specialist at MAAIF, said for the last two months, the contractor has nothing to show for this effort. “How can you work for two months not even any sign of work, when will you complete the project, half of your time has passed, can you produce 50% of work in 60 days’ time”, he asked. Dr Francis Ongelech, the project coordinator in Bukedea, said the contractor was given the contract on 5th November 2018, groundbreaking was done on 30th November 2018, but since then, the contractor has not even moved any step. “For all that time, he has only 2% to show as works done and the completion time is running out, November is not far from now,” he explained. He added for that Kween District, the site has weaker soil texture, the reason why the works have taken time. The cattle market is being constructed under the Regional Pastoral Livelihoods Resilience Project (RPLRP) at a cost of $40 million from the World Bank. 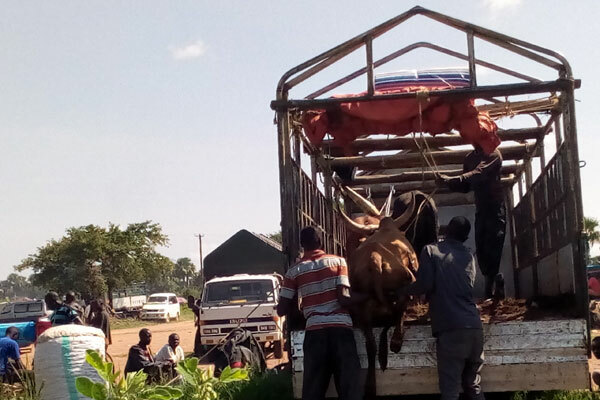 Under the market access and trade component, the government has started establishing Ajesai Holding Ground in Katakwi, Akoromit Cattle Market in Kumi, Nyero Slaughter Shed in Kumi, Ocorimongin Cattle Market in Katakwi, Ongino Cattle market in Kumi and Chepsikunya Cattle market in Kween, among others. Under the project, several dams will be constructed such as Tajar in Bukedea, Cheptere in Kween, Aooyalet in Nakapiripirit, Nakumama in Napak, Agurut in Kumi, Onganyakonye in Amuria, Omunga in Abim and Usake in Kaabong.